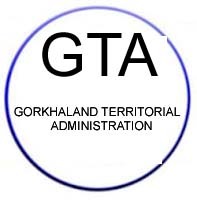 The state government has issued the notification for delimitation of hill constituencies for the Gorkhaland Territorial Administration (GTA) elections scheduled to be held in July. According to the notification, 45 constituencies have been carved out of the current Darjeeling Gorkha Hill Council area, which till now had 28 constituencies. The five mouzas recommended by the Justice Shyamal Sen committee report for inclusion will not hold elections now. The state government hopes to complete the election process by the end of July. The DGHC comprised 14 constituencies in Darjeeling, eight in Kurseong and six constituencies in Kalimpong. The proposed GTA would comprise 22 constituencies in subdivisions of Darjeeling, 10 in Kurseong and 13 in Kalimpong. According to home department sources, once formed, the GTA will be able to nominate five additional members from newly included territories. “With the delimitation notification, we are through with one key step of the election process. We expect to be able to notify the poll schedule by next week, which would enable us to complete the entire process by the end of next month,” said a Writers’ Buildings source this evening.